The state of Wisconsin has tremendous capacity for scientific discovery, transformative research advances, and technological innovation in biomanufacturing. Wisconsin’s research institutions are among the largest in the world in terms of total research scope and intellectual property generation. A driving force behind our success is the vibrant spirit of collaboration between leading scientists and clinicians from multiple disciplines. Building on this foundation, the Forward BIO Institute was created to catalyze innovation in biomanufacturing research through transdisciplinary collaboration, with the goal of “catapulting” technologies out of universities and into the private sector though a series of supportive initiatives. 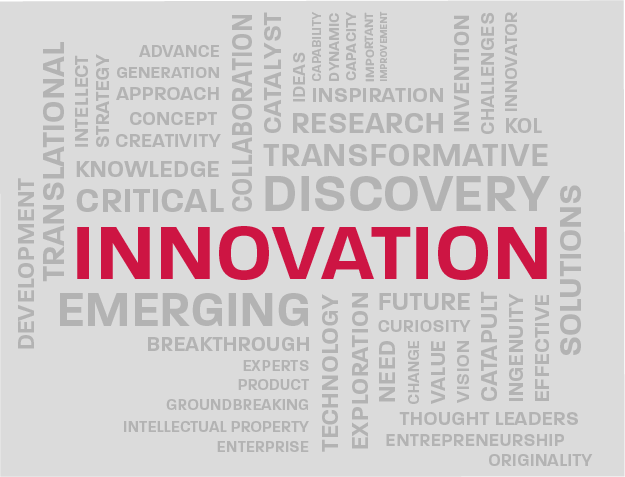 The Institute has established a program to support the effective translation of new discoveries into innovative technologies with commercial impact. Our Catapult Program identifies high value technologies, and creates value propositions and preliminary business cases for these breakthroughs. Business cases are pre-incorporation, and we will connect investigators with entrepreneurs and investors to accelerate research innovations on the path to commercial impact. Through collaboration with our Forward BIO Initiative partner, Forward BIOLABS, we will assist in converting valuable technologies into start-up companies. Lacking an early and complete understanding of key issues related to both clinical and commercial developmental has proven to be one of the primary obstacles to successful translation of discoveries into products. The Institute is establishing a program to support investigators developing biomanufacturing technologies for the treatment of human diseases. In this program, investigators will be directly connected with Regulatory and Clinical Key Opinion Leaders to develop a pathway to first-in-human trials, as well as industry experts for guidance on the dynamics of the commercial path. This program will accelerate the path toward clinical/commercial impact of new discoveries and avoid blind alleys that often limit forward progress.